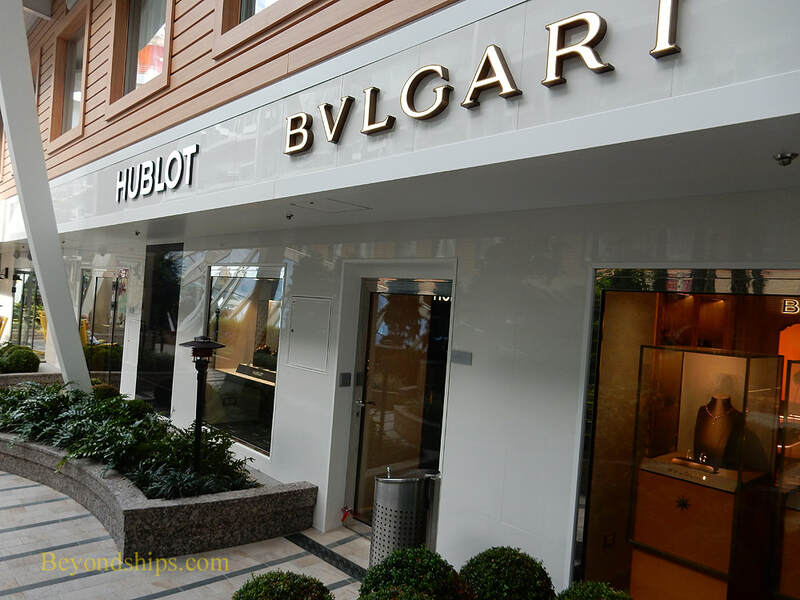 Central Park has luxury shops with well-known name brands. 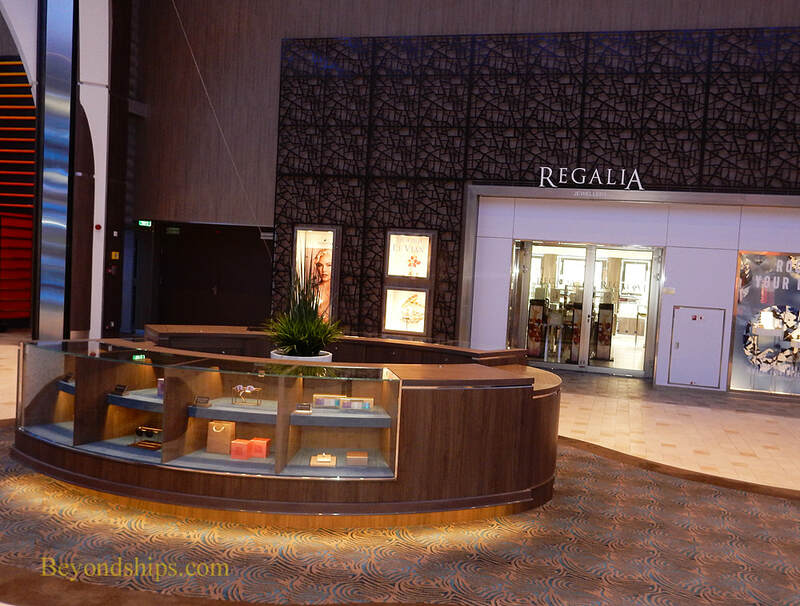 In the Royal Promenade, there are both traditional shops (above and left) and islands where special offer merchandise is sold (below). 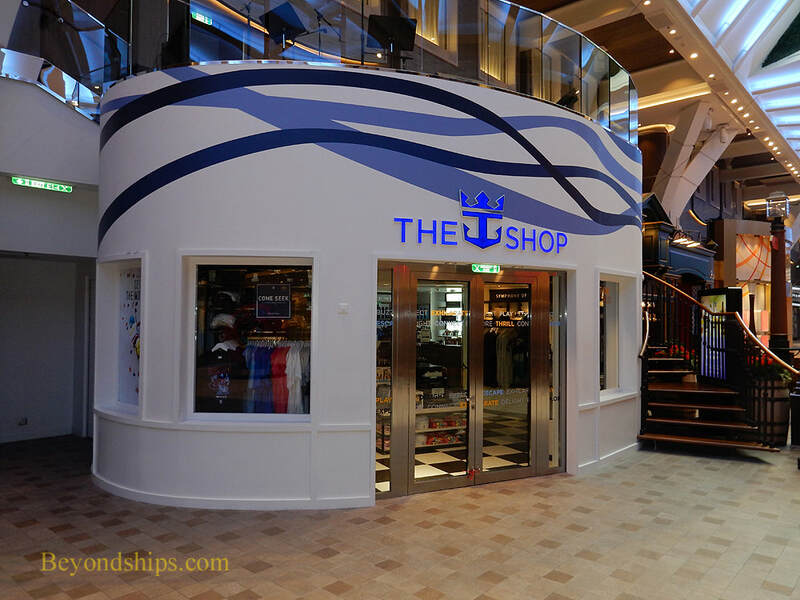 The Shop (above) has moved from the Boardwalk on Harmony to the Royal Promenade on Symphony. 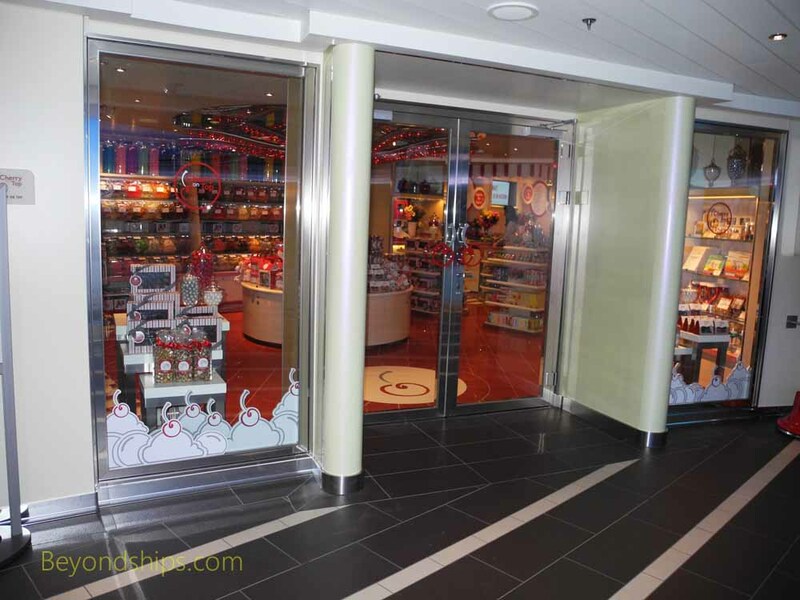 It offers Royal Caribbean logo items and souvenirs. 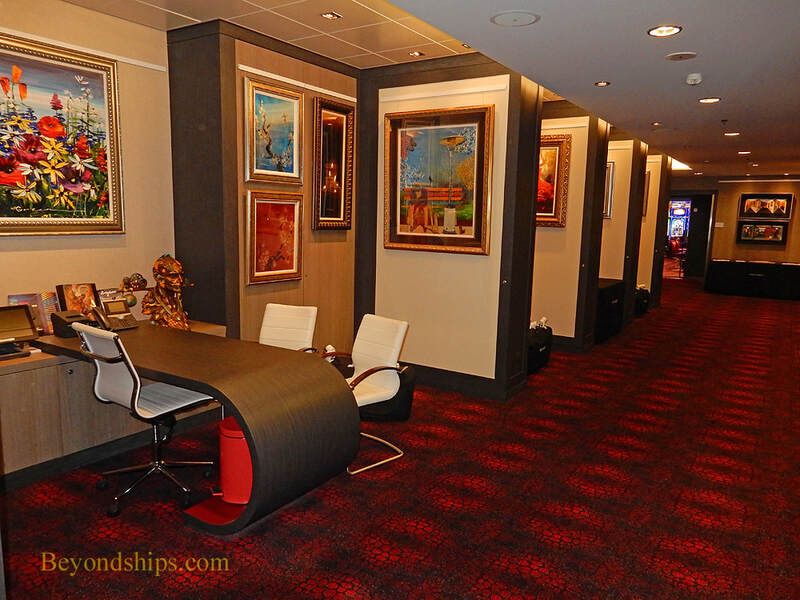 The Art Gallery is in a corridor connecting the casino and the entertainment complex on Deck 4. The gallery conducts auctions and presents seminars on various artists and art-related subjects. 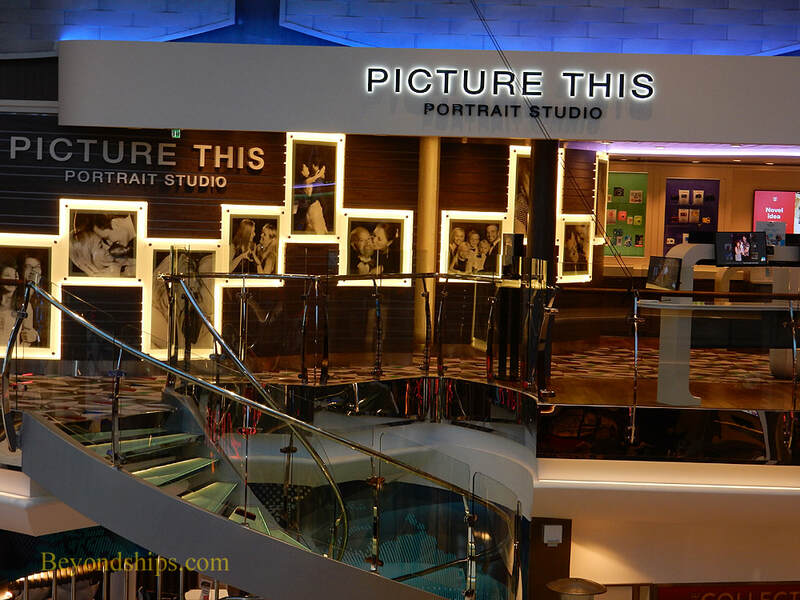 The Focus Photo Gallery (above left) sells the souvenir photos taken aboard and in port by the ship's photographers. 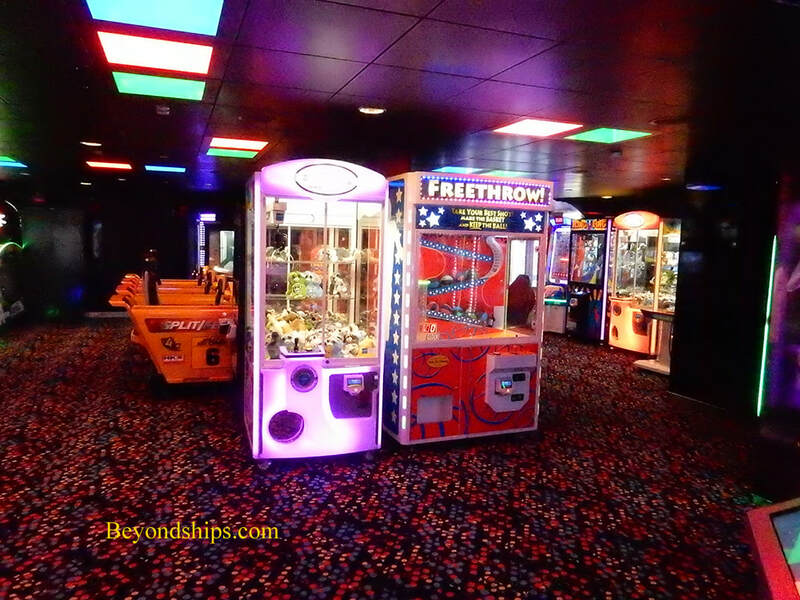 There are no racks of photos to go through as on older cruise ships. Rather, the photos are stored digitally. If you find a photo you like in the digital display, you order it online at one of the terminals. Located next to the photo gallery is the Picture This Photo Studio (above right) where guests can have professional portraits taken. 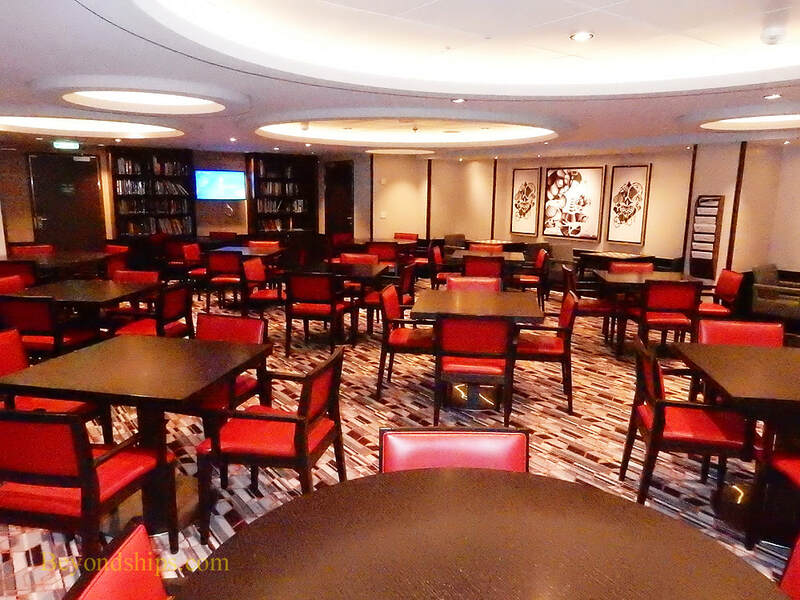 The Card Room/Library on Deck 14 has tables for cards and board games. It also has a small collection of books and a number of computer terminals for accessing the internet. 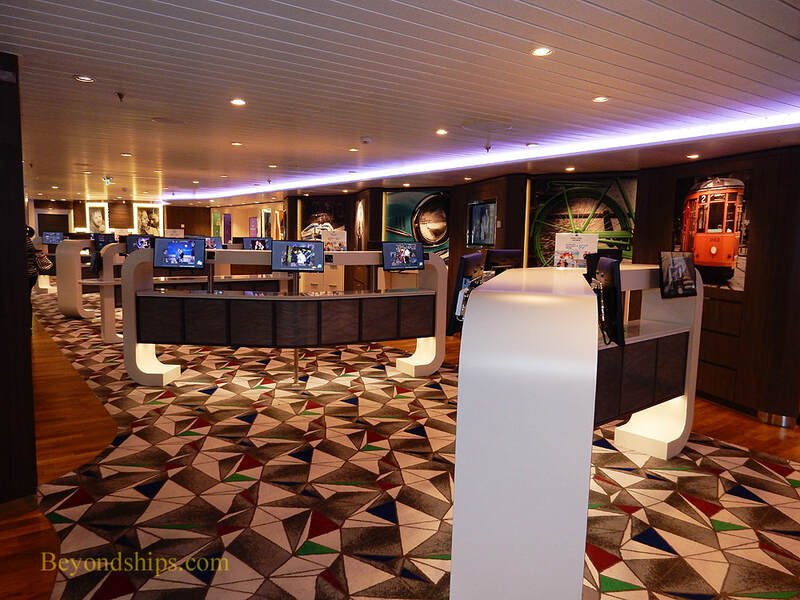 ​Symphony has wi-fi throughout the ship and so most guests use their own devices. The ship offers two types of connections. The Surf and Stream uses an advanced system which, while not perfect, is a significant improvement over traditional shipboard internet systems. 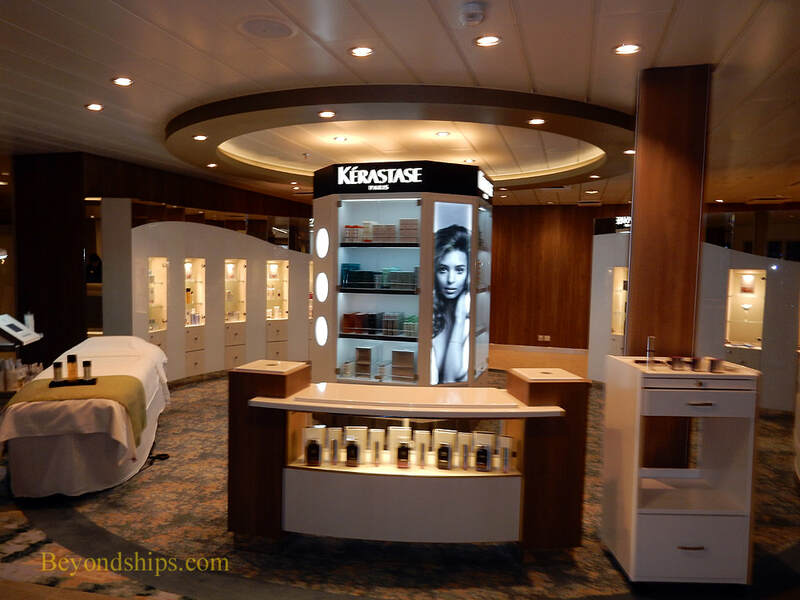 The other option is less expensive but it is more similar to the traditional cruise ship connection. Symphony is a family friendly ship and has an extensive children's program with dedicated youth facilities. The program is divided according to age and covers travelers ranging from babies to teens. Outside of the dedicated youth area, one feature of interest to children is the video arcade located near the pool area. Symphony has a Conference Center on Deck 3 with state-of-the-art presentation equipment and a variety of meeting rooms. (Not shown).